Driver’s licenses and the illegal aliens who get them are an issue under the Gold Dome again. Expect to see consideration of at least two bills before crossover day. One of them, SB 417 from Senator Josh McKoon, should see a Senate hearing today in the Public Safety Committee. Another, HB 484 from Rep Jeff Jones, is pending in the House Motor Vehicles Committee. The bills are aimed at creating a second tier of driving and ID credentials in order to end the current policy of giving the illegals that have a reprieve on deportation the same driving and ID credentials issued to legal immigrants and Mercedes Benz executives. A point of contention will likely be that fact that the Department of Drivers Services insists they are “not issuing to illegal or undocumented immigrants.” The Associated Press and the AJC say they are. The federal REAL ID Act of 2005 says “deferred action (on deportation) is evidence of lawful status.” The United States Immigration and Citizenship Services (USCIS), the federal agency that issues work permits, reports something different. Officially known as “Employment Authorization Documents,” these EADs contain coded information on the status of the bearer. Some illegal aliens have been given a work permit on a temporary basis, which is, in part, how they get a drivers license. Insider Advantage asked USCIS for a breakdown of the EAD codes that denote unlawful status of the temporary work permit holders and received a list of codes that indicate unlawful status. DDS has issued drivers licenses and/or ID Cards to applicants in all or most of these categories. 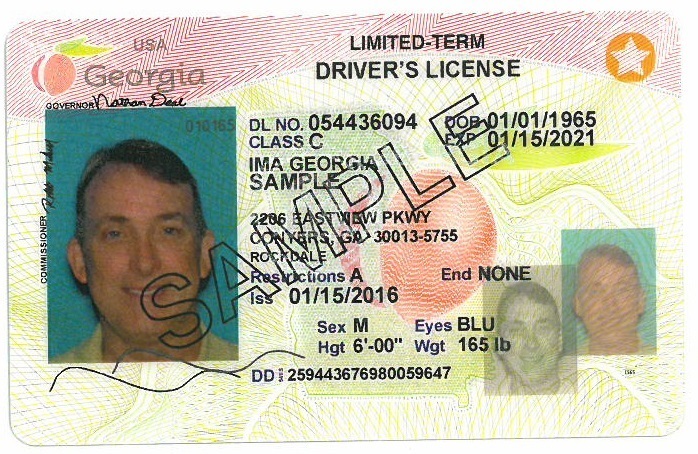 If Georgia is going to continue to give people with debatable immigration status driver’s licenses and ID Cards, the legislative goal of creating special, easily recognized documents that cannot be confused with credentials issued to legal immigrants and real guest workers with legal visas is a common-sense homerun. And it will be far less confusing in our voting process.